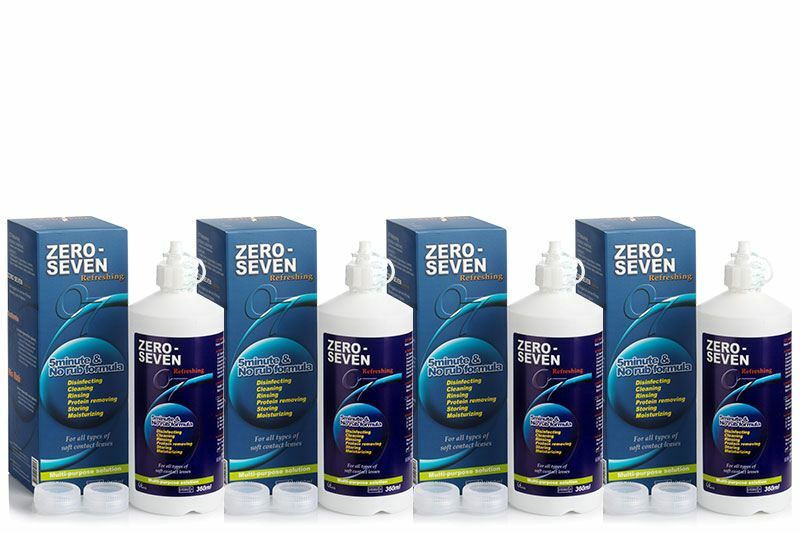 Zero Seven Refreshing is a multi-purpose solution that combats the unpleasant feeling of dry eyes. HPMC, a humectant, which creates a moist coating between the contact lens and eye is released gradually, and so complements and protects the tear film. D-sorbitol prevents drying of contact lenses. NO RUB allows dirt removal dirt, disinfection and protein deposit removal without mechanical lens cleaning.